The White House rejected a request by congressional Democrats that it provide information about President Donald Trump’s communications with Russian President Vladimir Putin, House Democratic leaders said Thursday, suggesting they would take further action. U.S. Representatives Adam Schiff, Eliot Engel and Elijah Cummings, the chairmen of the House of Representatives Intelligence, Foreign Affairs and Oversight committees, respectively, said in a statement the rejection was part of a “troubling pattern” by the White House. “Our Committees are in receipt of the White House Counsel’s letter, which continues a troubling pattern by the Trump Administration of rejecting legitimate and necessary congressional oversight with no regard for precedent or the constitution,” the chairmen said. “We will be consulting on appropriate next steps,” they added. The White House sent its denial in a letter to Congress, according to reports by The Hill newspaper and CNN. Cummings, Engel and Schiff had asked the White House and Secretary of State Mike Pompeo in early March for documents and interviews about Trump’s conversations with Putin. 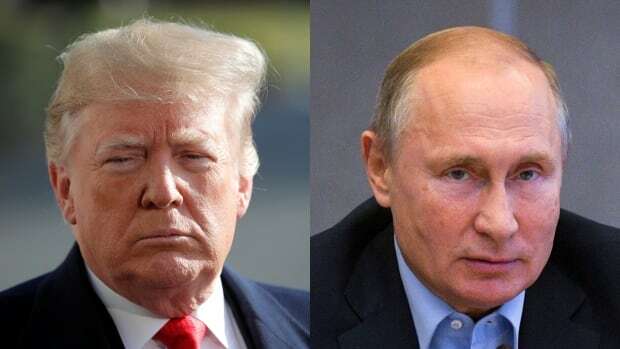 The lawmakers expressed concern about media reports that Trump seized notes on at least one meeting with the Russian leader and tried to destroy records about those talks. In his response, White House counsel Pat Cipollone said a president’s communications with foreign leaders were confidential and protected by executive privilege. “The president must be free to engage in discussions with foreign leaders without fear that those communications will be disclosed and used as fodder for partisan political purposes,” Cipollone wrote in the letter to the committee chairmen, according to The Hill. The request for information about communications with Putin followed the House Judiciary Committee’s demand for documents from a who’s who of Trump’s circle, targeting 81 people, government agencies and other groups in an investigation of possible obstruction of justice or abuse of power.